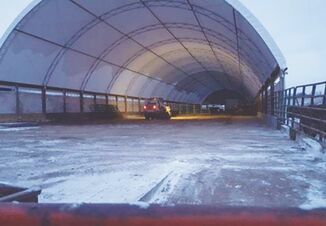 Early Friday morning President Trump signed the latest stopgap spending measure into law, providing safety net changes for dairy farmers. The bill also extends funding for non-essential government functions through March 23, giving appropriators time to write an omnibus bill for fiscal 2018 at newly raised spending levels, adding $80 billion more for defense on top of $549 billion allotted under current law, and $63 billion for nondefense programs above a $516 billion cap, according to Jim Wiesemeyer, ProFarmer’s Washington policy analyst. 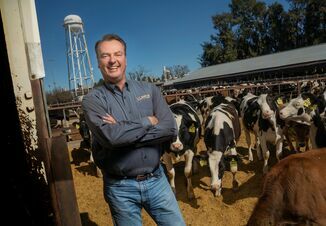 “The changes to the dairy program are the most significant changes I’ve seen in my 40 years working in Washington,” he told AgriTalk host Chip Flory on Friday. Dairy leaders agree. The bill eliminates the $20 million cap on the livestock gross margin program (LGM). "That's huge," says John Newton director of market intelligence for the American Farm Bureau Federation. Additional funding for the dairy program will help AFBF to move forward with their proposed revenue protection insurance program for dairy. 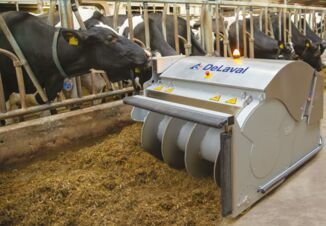 The National Milk Producers Federation (NMPF) says the package will also bolster the Margin Protection Program (MPP), a safety net program resulting from the 2014 farm bill, which has been largely ineffective. All payments would be calculated on a monthly rather than a bimonthly basis in place under current law. Premiums for small and medium-size farms would be eliminated on $4.50 and $5 coverage levels and sharply reduced at all higher levels. The lower premium rates would apply to the first 5 million pounds of a farm’s historical production, up from the current limit of 4 million pounds. Still, larger farms will likely go back to using revenue insurance once the funding cap is removed.